Dress up your vehicle’s speaker system with our Billet Aluminum 8in Wheel Style Sub Woofer Grill. 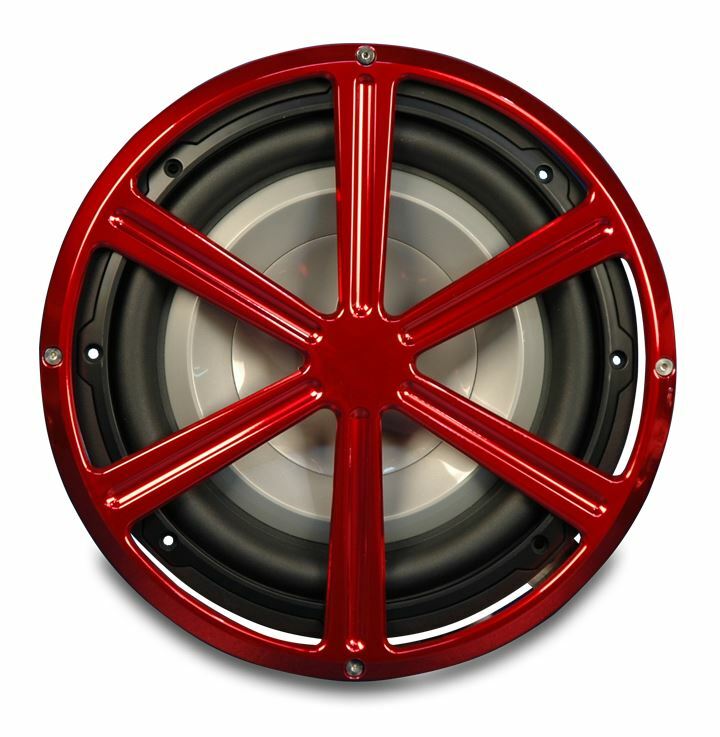 The two piece kits come with a billet aluminum mounting ring which is fastened to your door panel or speaker box. The speaker grill is then attached to the ring with four stainless steel fasteners (included). The grills are available in a bright polished finish or in a variety of Fusioncoated or anodized colors, so you can easily transform your vehicle into the car of your dreams.